Carefully prepared fresh meat is at the heart of what we do. Our teams of skilled butchers freshly prepare the best quality meat for you; from traditional cuts through to convenient prepared joints. Our friendly and knowledgeable butchers are always on hand to offer advice and meet your requirements. You will find our buy bulk and save packs offer fantastic value and our kitchen-ready dishes a time-saving essential for the busy shopper. Call in to one of our stores to find out more about our quality meats and produce on offer. A guaranteed discount of over 10%! 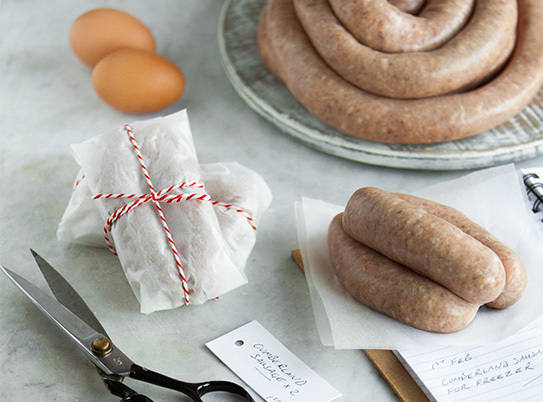 Our packs include: Cumberland sausage, breakfast sausages, minced beef, stewing steak, whole briskets, whole topsides, beefburgers, pork and apple burgers, chops and chicken fillets. 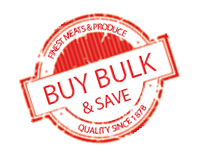 See in-store for our buy bulk and save packs. The provenance of our beef, lamb and pork is of the utmost importance. Our own Lakeland scheme ensures you know you are buying only the best quality products. Every week we buy live cattle through our local auction or direct from local farms, carefully selected to meet thorough specifications, ensuring the highest quality final product reaches you. Our lamb is sourced from British Farm Assured producers; working hard to maintain the quality you would expect for 52 weeks of the year. Our fresh pork is bought on a daily basis from Black Brow Abattoir, based near Wigton, Cumbria.